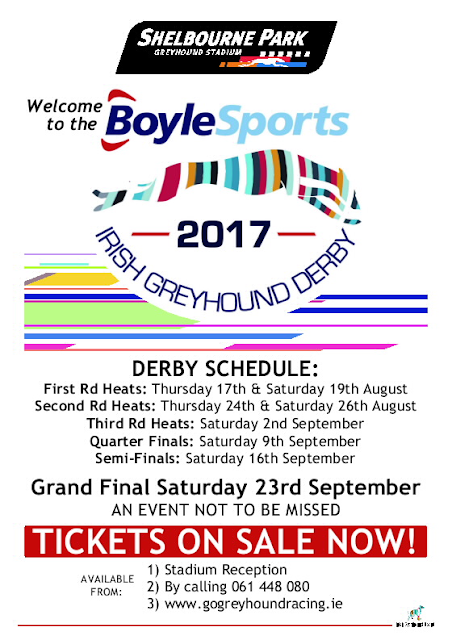 What a phenomenal start we had to the 2017 Boylesports Irish Derby on Thursday evening. The Derby will always set pulses racing regardless of favourites winning or fast times but the opening session of ten heats already have this year's renewal amongst the most exciting and highest class ever staged. Native Chimes is part of my three-strong betting portfolio ahead of the Derby (also Jaytee Jet 33/1 & Swithins Brae 66/1) and still available close to the 33/1 that I nibbled at, I couldn't turn anyone off a bet on Johnny O'Sullivan's powerhouse after he gamely ran down the in-form Skywalker Manner when, I thought very impressively, he began proceedings in a smart 29.69. 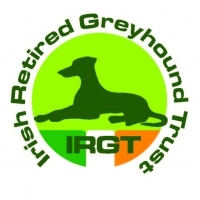 What followed was something that we have become very accustomed to over the past few seasons and not many would have doubted, if told, that Graham Holland would return four heat winners on Thursday; but it was the emphatic manner in which they were achieved that left patrons in awe having witnessed greyhound racing excellence, almost starstruck! Sonic, along with breeder and owner Pat Moloney who entertained the greyhound world with lively interviews ahead of last year's final showdown, endeared himself to the Derby public before starting favourite for the 2016 decider. Some time off, a few moderate runs by his own lofty standards and a very indifferent spell at Towcester however had many wondering if he could get back to Derby contention this year. Now he gave notice that he may be ready for the challenge when mowing down Tyrur Harold in a cracker on the previous Saturday but I doubt anyone was truly anticipating that he could go within Two spots of the track record when lighting the litmus paper on Derby 2017 in Thursday's Heat 2. It was the best that I can remember him breaking and he displayed more early pace than I believed he possessed. Trap 6 clearly suits him well but he had this over after fifty yards. Yeah Good News had some traffic problems when performing very well in second but even with clear sand ahead early in the back-straight, Sonic continued to increase the deficit and in hindsight, we should have realised that the clock must read something special. 29.12 is almost as ridiculous as it was brilliant for a first round of the Derby and made even more scary when Timmy Holland declared that "he needs races" upon accepting my congratulations. What a start, and truly magnificent to see last year's final favourite in such flying form. Droopys Cabaye then landed more favourite odds for Team Holland as he continued his stealthy progression for new owner Larry O'Rourke and on any other night, we could well be waxing lyrical about his gutsy 29.63 success. He added quality substance to the kennel challenge before dual classic winner Clonbrien Hero comfortably justified his 4/6 quote clocking 29.65 ahead of a hugely eye-catching display from recent Tipperary Cup Final beaten favourite Cahir Castle who must be fancied for another deep run on this evidence having reached semi-final stage a year ago when just a youngster like Sonic himself was. The scene had been well set by the time Heat 7 arrived and the hottest dog in any ante-post market did not disappoint. I thought, and actually still contend that 7/1 is too short for any Derby favourite, especially in Ireland with a strength in depth that just can't be rivalled anywhere in Europe and before Towcester I would have said that it was definitely too short for Clares Rocket! In my mind he went to Towcester as a racing machine in terms of speed but still had questions to answer in terms of elite level competition over five and six rounds. 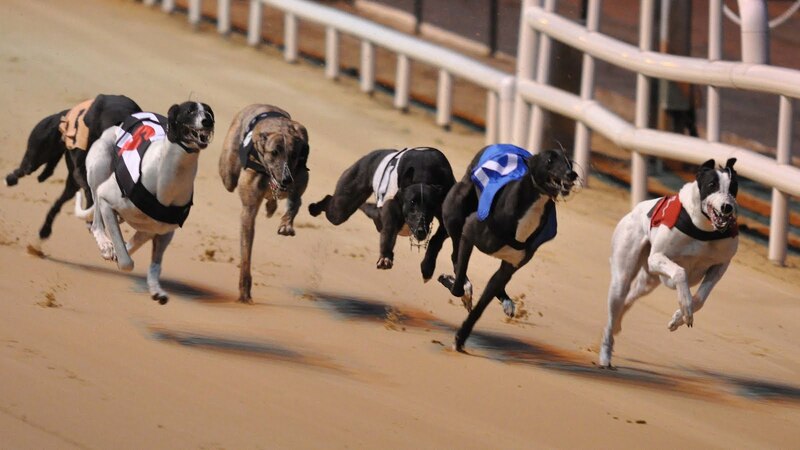 Could he do a Droopys Roddick or a Jaytee Jet and qualify when nothing went right from traps to the back-straight? Had you done your dough if he missed his break and got cut off at the third bend after flying down the back to give himself a chance? Well I still say 7/1 was too short but he answered so many of my questions at Towcester and I would no more tell anyone to avoid him at skimpy odds; ignoring the price, by the time the draw was made and the market appeared, he had shown everything you want to see in a Derby favourite and thoroughly deserved his place at the top. The top may be where he is destined to stay and even though he has shortened to 7/2, I'd say that won't turn his loyal legion of supporters away. The way he demolished some very talented greyhounds on Thursday was astounding. A white streak of lightning I described him as once and that is what it was like on the back-straight as he glided across the Shelbourne sand. I audibly muttered off the second bend, "the record is gone"; it didn't need to go......the time of night, a later heat, slight changes in going...I don't know but visually, I genuinely don't think a dog has ever moved faster on an Irish track.......29.16....Whoosh!! It's crazy to think that Tyrur Harold is not making headlines after a brilliant defeat of Toolmaker Obama in 29.46 and PJ Fahy must have been delighted with his opening effort. He along with English raider Dorotas Wildcat (29.62) were the pick of the rest and both, the former in particular, could yet be big players in this Derby as the margins become increasingly finer round after round. It was a truly exhilarating start to this year's Derby for even the most race hardened of us.....bring on Saturday! I say at this point of every Derby, keep your heat betting to a minimum in the first round. It is always unpredictable and rarely as kind to favourite backers as Thursday's session was. That said, we are all going have a bet of some sort but mine will be a treble with fancied favourites that has real claims of clicking.